Back in the fall, Arlington Greens asked for VOICE (which has roughly 8 faith community members in Arlington) to support the housing authority referendum but they refused. The referendum went down to defeat on a 30-70 percent vote, and the lack of a strong positive voice of approval for affordable housing from the faith community to support a housing authority certainly did not help. VOICE prefers apparently to work closely with the Democratic ruling party behind closed doors and support a dysfunctional housing assistance program, rather than acknowledge the terribly deficient housing assistance program in Arlington. Some of the VOICE member churches receive county funding or need good relations with the Democrats, and it would appear are fearful of annonying Democratic county board members. As the Sun Gazette describes below, VOICE created a seemingly parallel, but legally nonbinding effort at the same time of the housing authority referendum with a petition signed by 10,000 people most of whom do not live here in Arlington, and then reducing the affordable housing crisis to encouraging the county to give public land to private housing contractors to build more expensive subsidized housing for people making over $60,000 a year. “When land is free, you can accommodate those people who get lost in the shuffle,” said Robert Buckman, a leader of the VOICE effort. Actually, APAH was given free public land and is building the Arlington Mills Apartments on Columbia Pike at a cost of $250,000 per apartment. With APAH’s high overhead costs and the costs of repaying all the borrowed money, tenants accepted must have an income of $60,000 for a family of four (60-percent Area median income) to get one of the “subsidized” apartments. The “free public land” did not significantly lower the price of the units. APAH also charged about $1 million in legal expenses for the “free public land,” so the land was not actually “free.” This is because APAH must create a legal fiction with the county government to receive the public land since Virginia law prohibits the operations of rental housing on public land except in cases of a county housing authority. Meanwhile the Fairfax Housing Authority indicates it builds subsidized apartments in Fairfax on public land for about $100,000 each. Yes, the housing authority in Fairfax spends less than half of what Arlington spends on new units. 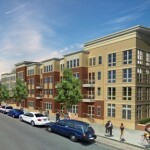 Public land is very helpful and would reduce the costs of building more apartments, but with the high overhead costs of county housing contractors like APAH, AHC and the rest, the subsidized rental housing is affordable only to higher income persons and excludes the truly low income, disabled and those living on social security and most retail/service jobs in Arlington. The goal? Cut the cost of construction by building on parcels that the government already owns. The ecumenical organization plans to present County Board Chairman Walter Tejada on Dec. 12 with a 10,000-signature petition in support of its effort, then turn up en masse at the Dec. 14 County Board meeting to press its case. The petition incorporates a list of prospective sites where housing could be built, including the Arlington Career Center, East Falls Church Metro station, Central Library, the parking lot of Lubber Run and Department of Parks and Recreation facilities in the 3700 block of South Four Mile Run. Boosters say it is not a pie-in-the-sky endeavor. The list of prospective parcels should not be limited to the VOICE proposal, Green said. “We want them to look at other sites,” she said. 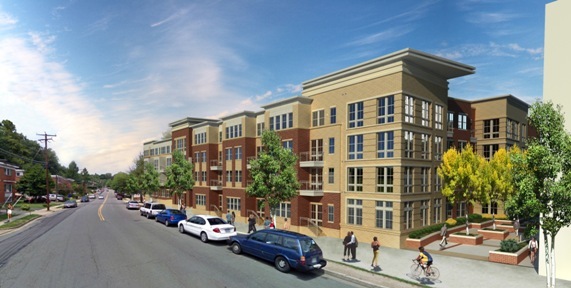 If there is a local model for going forward, it is the Arlington Mill Community Center on the western end of Columbia Pike, a project that includes a 122-unit rental property built by the Arlington Partnership for Affordable Housing. The first tenants are slated to move in early next year. “Arlington Mill needs to be replicated,” said Buckman, who cautioned that future projects can’t take as long in the planning stage as that one did. VOICE leaders have been meeting individually with County Board members over the past week. Organizers of the effort say board members have been receptive and asked informed questions, offering varying degrees of support for the concept. VOICE of late has pressed for changes in county policy that would provide housing for those with significantly less income than those traditionally helped by the government’s existing policy, which focuses mostly on families earning no less than 50 percent of the region’s median income. VOICE wants the focus shifted to assist those earning between 30 percent and 50 percent of the median. Specific targets remain a work in progress, but backers of the idea think enough space on public land can be found to build 1,500 units over the next three to five years. Those units are needed to replace low-cost, market-rate housing that is falling to redevelopment across Arlington. In a timeline put together by VOICE, the county government would move forward next June with a three-year plan for adding housing to public parcels, then cast a net for proposals from both for-profit and non-profit developers. Under the proposed timeline, ground-breaking on the first project would take place in December 2015. But it all will begin, or perhaps end, with the decision by County Board members on whether to direct staff to move forward and set specific dates for steps along the way. While the government is engaged in a multi-year housing study, VOICE activists are seeking a definitive answer on their proposal this month.